With only 15 days until the first session begins, things on the peninsula are starting to heat up!!! The Bull Crew (Bill, JP, Damian, Willcox, Bobby, Rotman, Frank, Lori, and Rafa) have been doing massive work to make Caribou lookin’ beautiful. The new arts & crafts and wood shop building is UNREAL, it’s double the size of the old building and there’s a gorgeous deck over looking Pattee’s Pond!! The new tennis courts are smokin’, the pavement has been set and they should be painted once the rain stops. On June 1st, 8 members of the waterfront staff arrived at the ‘Bou for a 4 day life guarding course. Also on the 1st, the new trips staff, James Anderson and Tom Keough, came up early to scout out this summers wilderness trips. AND… the new ropes staff, Josh Bedford and Chris Redford, arrived at camp as well!!! So yes, a lot is going on, and everyone is JACKED UP to get things going. OHHH and the craziness continued last night as Tom Ivinson arrived!!! BOU YAH. On June 14th the rest of the staff come up for staff orientation. 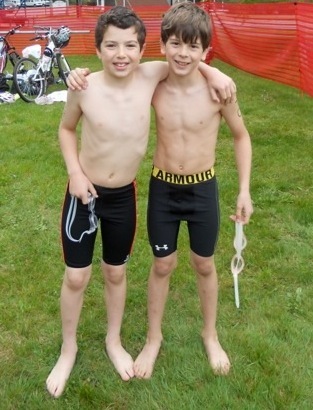 Camper News: Noah Safar and Miles Backer competed in a local triathlon a couple of weeks ago and absolutely tore it up. Miles blew everyone away in the water and Noah was a beast on the Bike!! Great job guys… Caribou Represent!! See you guys real soon, WHOA, camp is right around the corner. START THE COUNTDOWN, LETS GOOO, 2012 is GO.